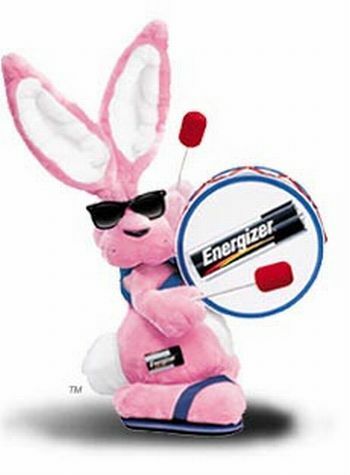 Even the Energizer Bunny Needs Recharging Eventually! You know that sick feeling when you turn the ignition switch to On and instead of the motor roaring to life all you hear is the “click…click” of a dead battery. Yes, there had been some recent warning signs…the slow turning over of the engine on cold starts, but you had ignored them because it did start eventually. And besides, you had things to do, important things, and many people were depending upon you. So, you get on with it…placing the “check out the car battery” on the To-Do List and move forward. But now, here you sit, turning the ignition switch again and again, desperately hoping that the battery will find some lost energy reserve to once again move you toward those important items on your plan today. But it’s all to no avail…the battery is totally dead! Leaders are often like those dying-dead batteries. We run well for long periods of time giving away ourselves to the demands of our role while all the time running lower and lower on our spiritual, emotional, and physical reserves. Until one day, we try to “start our daily engine” and it only responds with a “click…click…click.” It’s time for some attention to that long-ignored “personal reserve” if we are to continue to lead from an overflow. Here are some suggestions on how to recharge those personal batteries that may be in need of some attention. Not all will be appropriate for your season of life or person, but reflect on these and see if there isn’t something that could put some needed “juice” into your reserves. Get some time away from your leadership responsibilities – you’re really not that important! o Plan your daily and weekly schedule with margin for change and interruption. Don’t book each day full with back-to-back appointments. o Turn off your cell phone! You’re really not that important! o Let incoming calls go to voice mail so that you can control when you want to talk on the phone. o Limit the number of times you check your email each day. o Do you really need to post to Facebook, Tweet, or respond to every text message immediately? Get a life outside of your leadership! o Develop friendships with others not directly related to your leadership role. o Take a break / vacation – put it into your schedule just as you do your other important appointments. Push yourself to learn something new! o Learning something new and different will stimulate long dormant brain cells and/or muscles, bringing a new sense of progress and perspective. o “Stretching” is relative given age, physical condition, habits, etc. Don’t feel like you have to do what everyone else is doing just because it fits them. Know yourself! Wow Tom, I feel the same way about recharging. . . Life balance is so delicate. We are always being tugged both physically and emotionally in so many directions. Just returned from a vacation and feeling pretty good (for a Monday)! ‘Vacation’ and ‘Rest’ are not in many leaders’ vocabulary…good for you. Well said my friend. I would love to some day get the citation for the Brainerd quote–powerful even if he did not say it. Well said, Tom. Truly, sometimes the most spiritual thing one can do is either say ‘No’, or take a nap. Indeed, sometimes the most “spiritual” response one could have is either say “No”, or take a nap. Thanks for a well verbalized reminder, Tom!